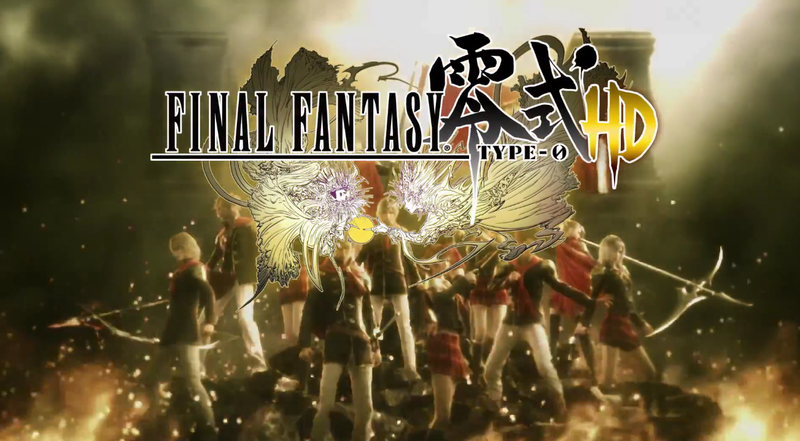 Type-0 just released on PS4! As I'm writing this, I've played the first four hours or so of the game. Just enough to get an impression. I have a bunch of minor issues to nitpick, so let's get that out of the way, because I actually like the game. Here we go. It's obviously an upscaled port from a lesser game system. The graphics could easily have come from a PS2, though they came from a PSP in this case. There's a lot of loading between areas of the map. I'm sure that made sense on a less powerful system, but it's annoying here. At least it's really fast loading. The voice acting is a little forced and I doubt the actors got to record their dialog together. Tone and responses to statements don't always mesh well. Just like in Final Fantasy XIII there are a lot of proper nouns early in the game which aren't clearly defined. But, it's not as bad or unclear as Final Fantasy XIII, so it has that going for it. That's is for the little things that bug me about this game. Honestly, none of them bother me that much. And all of them are because it's an up-ported version of a PSP game. None of them are game breaking. I just thought they were worth mentioning. Overall, I really liked my first few hours with the game. It's an action RPG with a focus on the action. There's no turn based battles or carefully considered planning once you get into combat. Abilities and attacks are assigned to the face buttons of the controller and you use them in real-time against the enemy. It's really fun and I hope it holds up throughout the whole game. One of the other really interesting things is the cast. Instead of having one main character or a small central cast there are 14 characters that are controllable. You can switch between them in and out of battle. You're never truly defeated unless all of your characters fall in battle. The 14 characters are members of class 0, the most elite group at a military academy. The nation where this military academy is located has just been attacked, so the recruits are sent out on missions to win back territory and stabilize the region. It's an interesting backdrop for the characters. I really hope the focus is on character development throughout the game. If it focuses too much on the warring nations it runs the risk of getting boring the same way Final Fantasy XII did. I plan on trying Vita remote play with this game. Since almost everything is controlled with the control sticks and face buttons it should actually be a great candidate for remote play controls. I'll report back on that whenever I get around to it. I really have high hopes for this game. My initial impressions are good and I'm excited to play more of it!